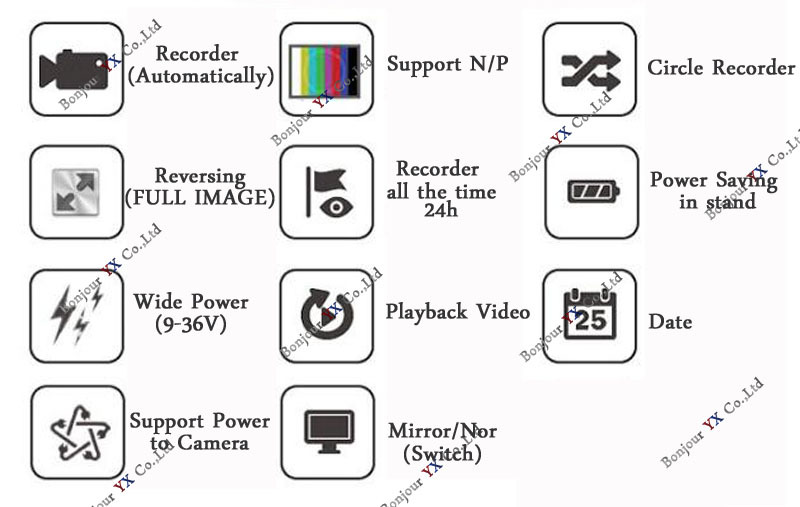 (1) we do not surggest the switch will connect the wireless camera, and the whole product can support PAL or NTSC, But not support for PAL and NTSC at the same time. 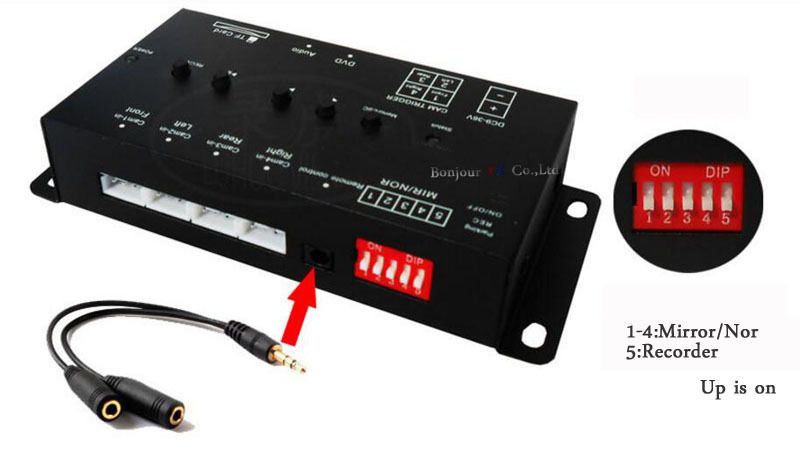 (2), please choose a good quality camera to connect. 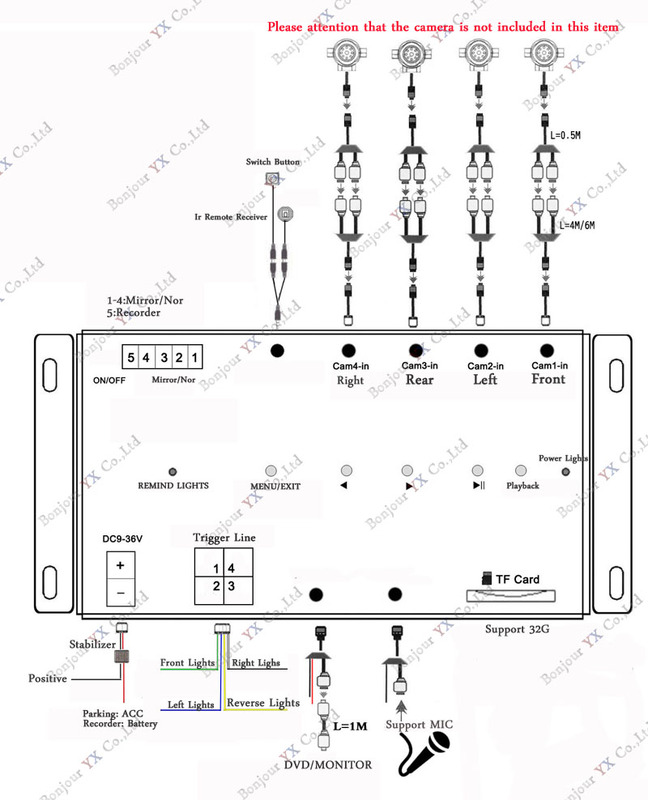 A poor camera can not be determined by the control box. 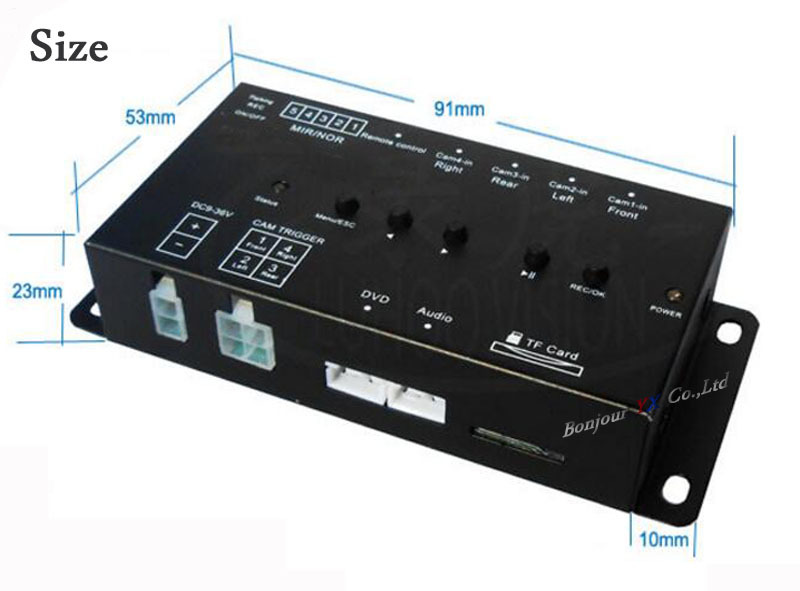 (3) When the product, ACC on, the blue screen, the product will work properly. After installation, the camera does not work, please check your camera quality and connectivity. Thank you. 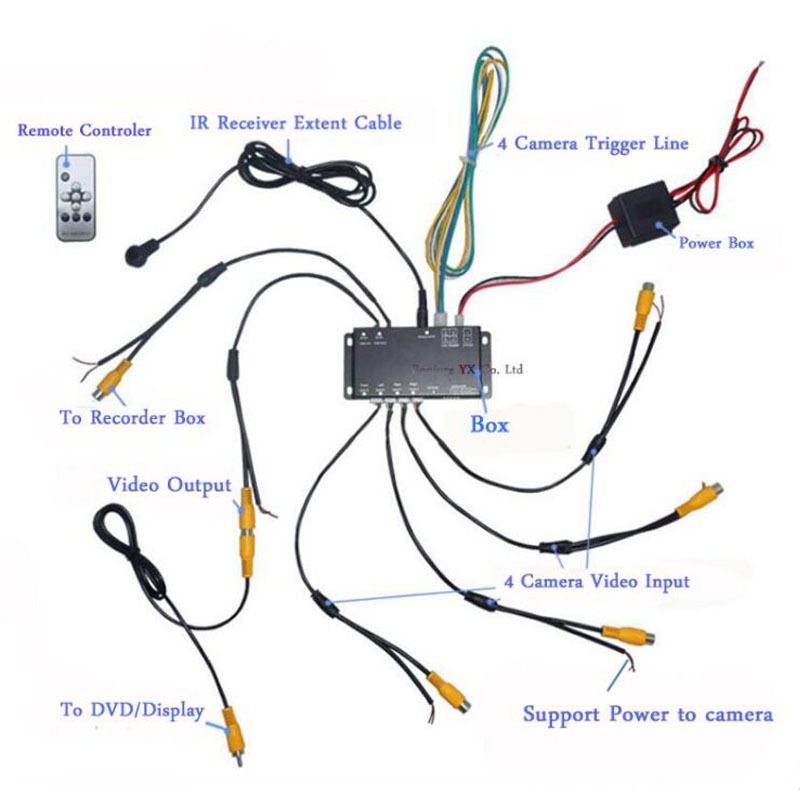 Support power to 4 camera with trigger function. 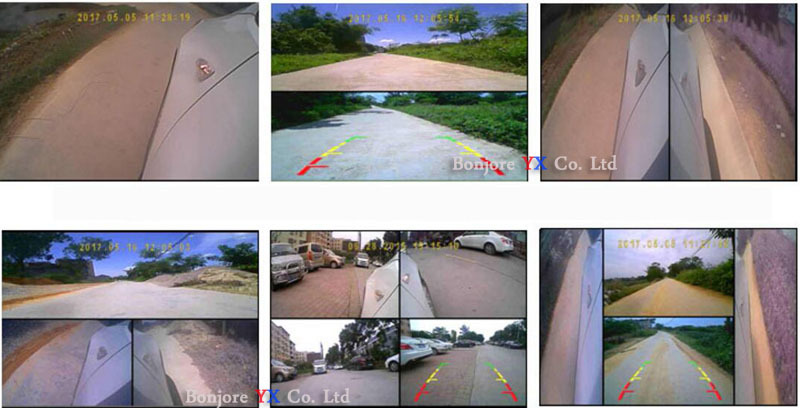 (1) When the access to four cameras, the car starts after the camera work, automatically display four images at the same time [H-type], 5 seconds after the delay automatically shut down. 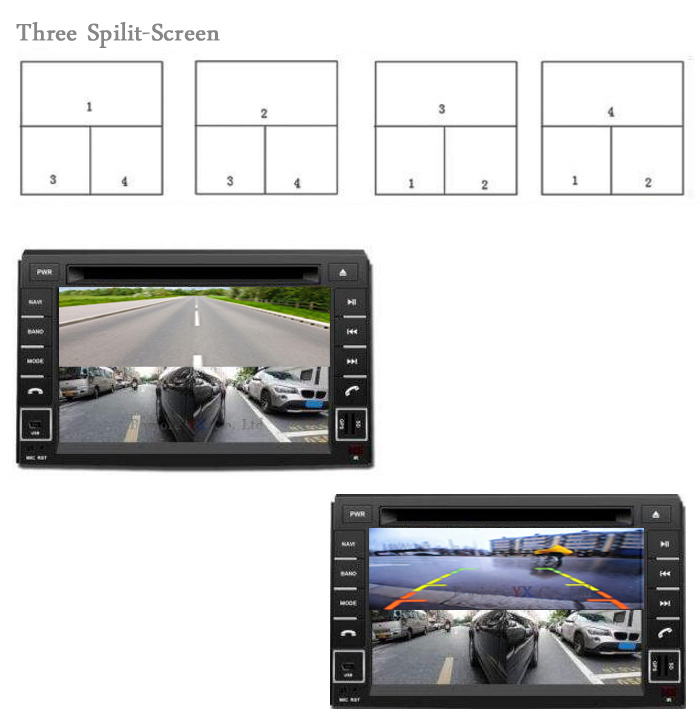 (2) When the access to three cameras, the car starts after the camera work, automatically display three images at the same time [product type], 5 seconds after the delay automatically shut down. 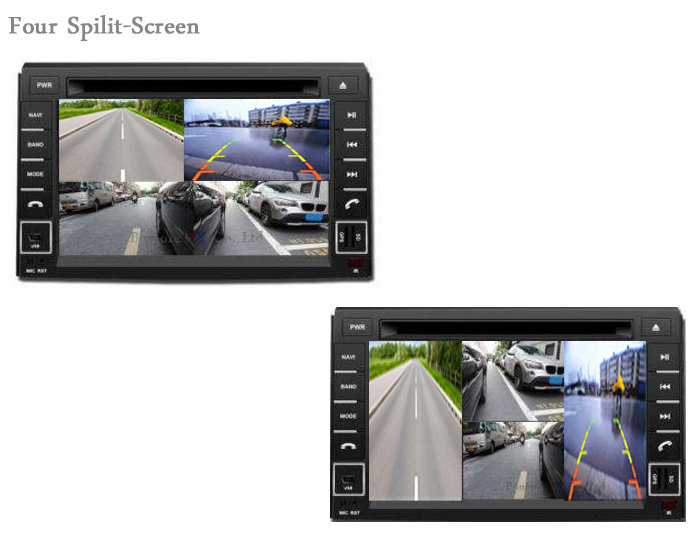 (3) When access to two cameras, the car starts after the camera work, automatically display two images at the same time [left and right / up and down segmentation], 5 seconds after the delay automatically shut down. (4) Front view [Channel 1] Trigger boot, display front view large screen, trigger exit delay 3 seconds after the automatic closure. 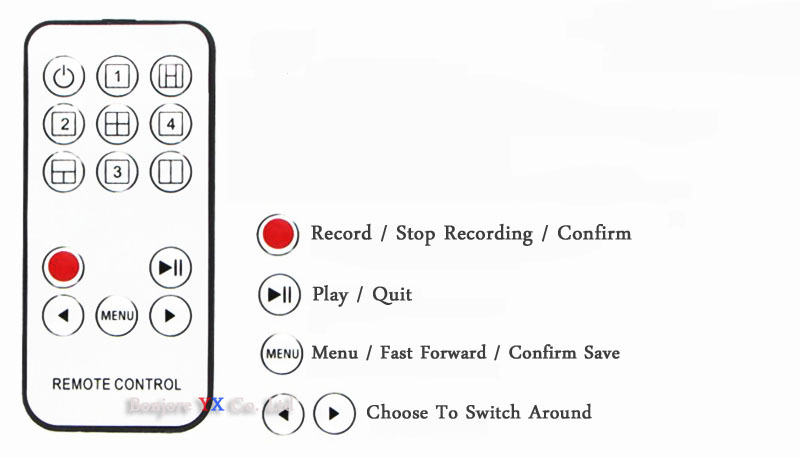 (5) Front view or reversing trigger After turning on, the left turn button triggers the display to turn left big screen 【Channel 2】, and the image is restored to 3 seconds after the display. 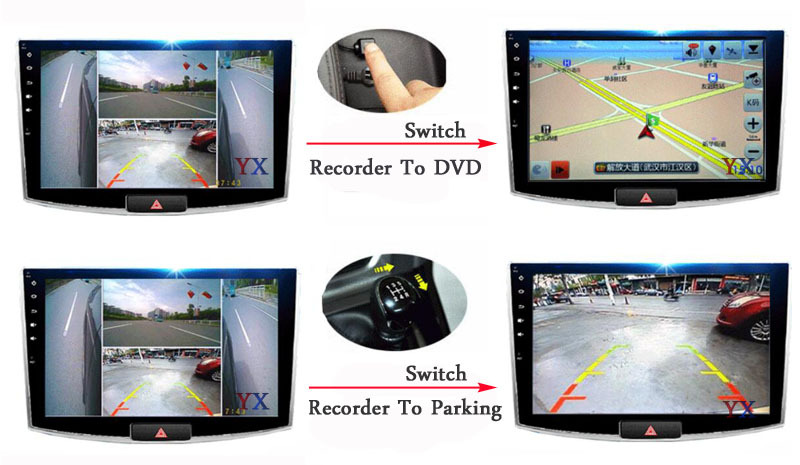 (6) Front view or reversing trigger After turning on, the right turn light trigger display right turn big screen 【Channel 4】, display 3 seconds to return to the automatic segmentation image screen. 1. 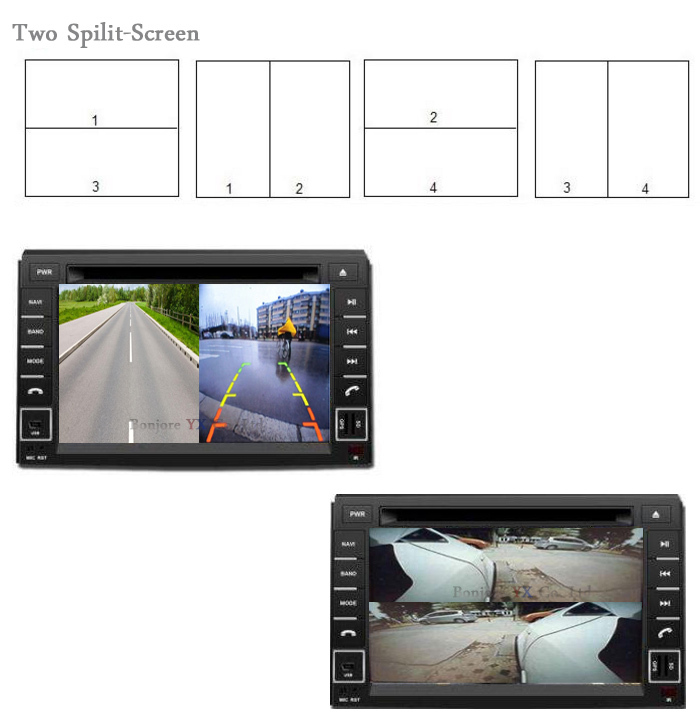 Press the upper left corner to boot, display the automatic split image screen, auto off mode failure, press again to turn off, automatic mode takes effect. 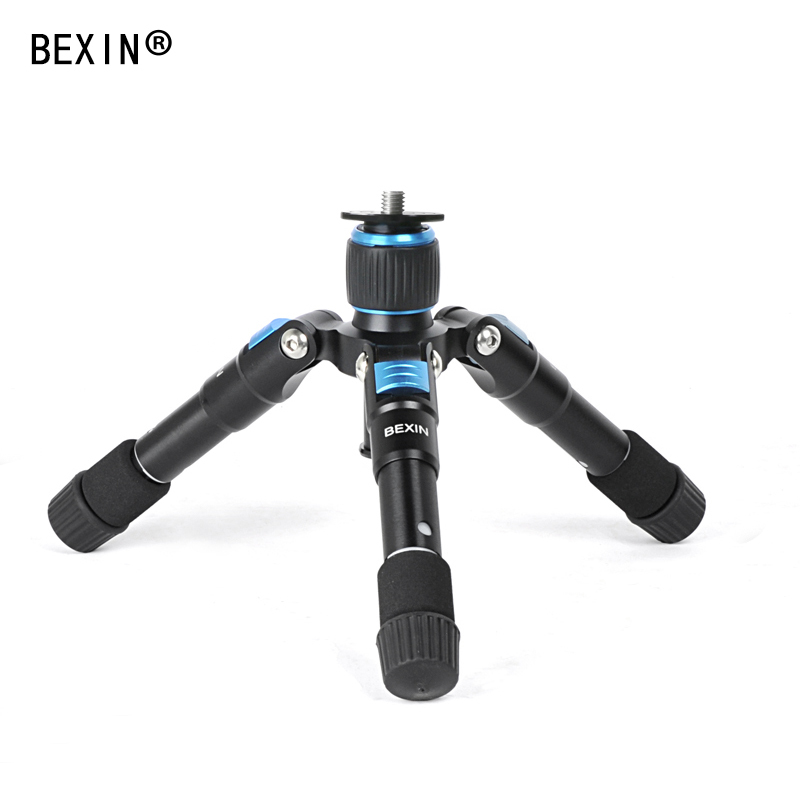 Please pay attention, this item is not included the camera, if you want the camera, Please contact us, we will recommend you and give you a best price for the full set. Thank you for your attention.